One of my favorite jewelry designers that works in gold is American art-jewelry designer David Yurman. Since 1980 David Yurman has been making amazing pieces for his adoring fans and collectors. 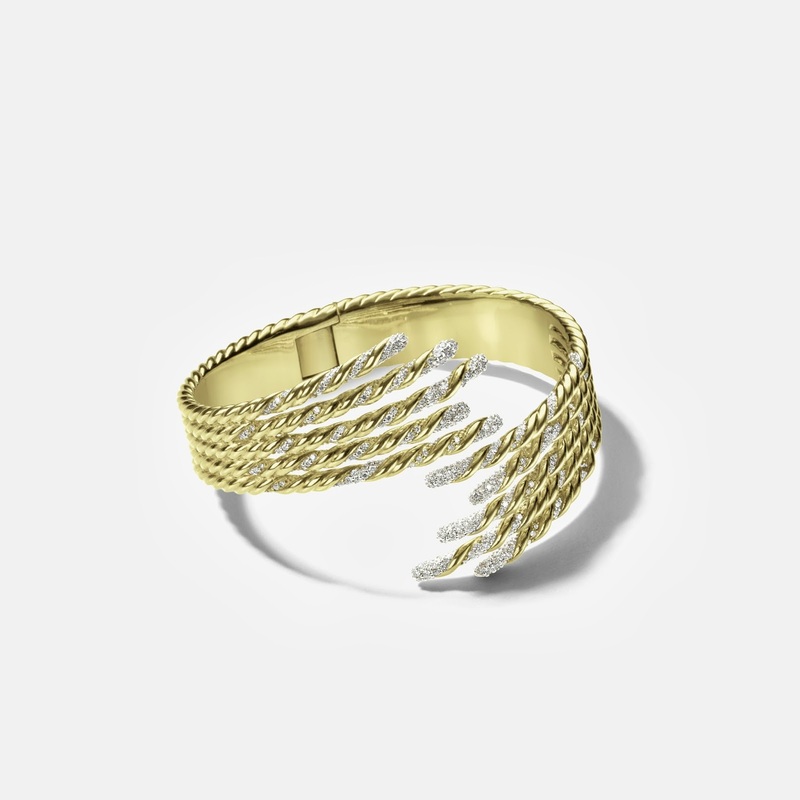 Yurman's designs are timeless and elegant yet can pack a punch and make a statement. Let's take a look at some of my current favorite David Yurman pieces! 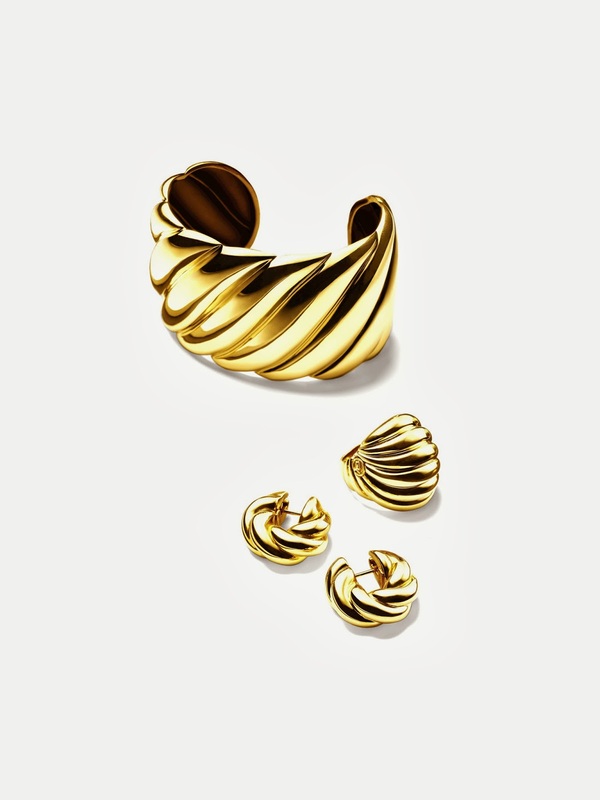 This David Yurman 18K gold sculpted cable wide cuff, sculpted cable dome ring and sculpted cable small pair of earrings would be the perfect set of gold to have. You can mix and match them with so many looks. You can also wear the pieces all together or individually depending on the tone of your outfit and your mood. 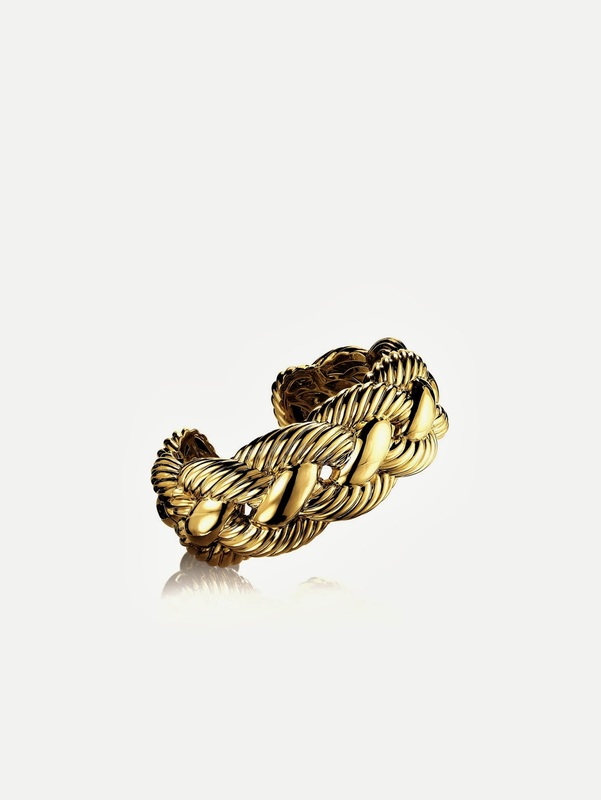 Another view of the 18K gold sculpted cable wide cuffs. There is even one with pave diamonds for an extra sparkle. Gold ropes and chains are a hug trend right now and this David Yurman 18K woven cable cuff is the perfect way to be on top of the trend. It is another piece that is timeless and can be worn with basically everything. 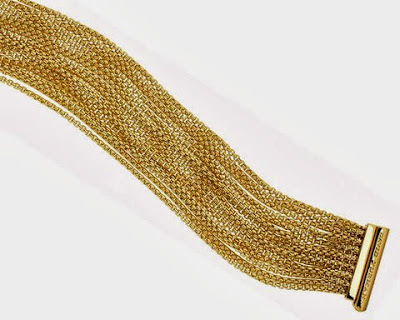 If you want to go a little more on the glamour and elegant side then this Willow five-row Bypass bracelet in 18K gold and pave diamonds is a must. Add this piece to your fall gala accessories box for oohs and ahhs from the entire planning committee. 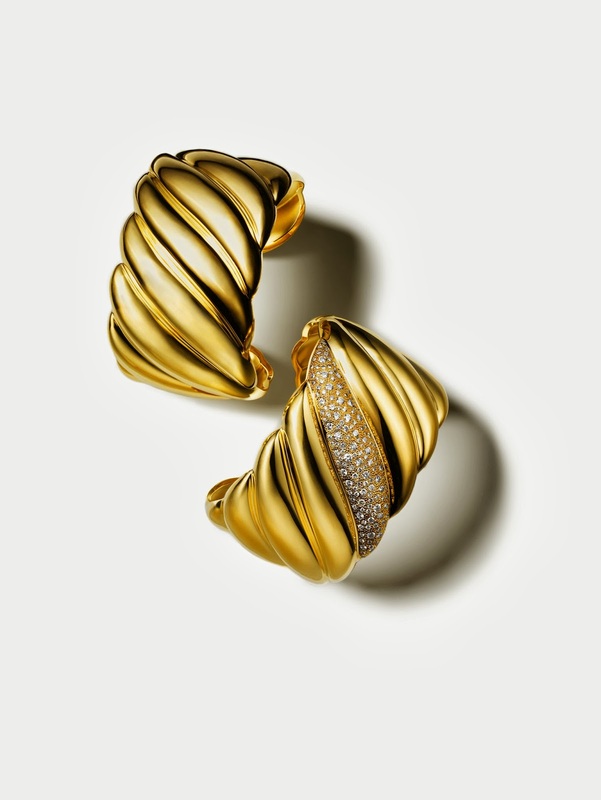 We cannot forget about my favorite gold accessory- rings! There are always tons of weddings that take place in the fall and this means that you need a fab cocktail ring! 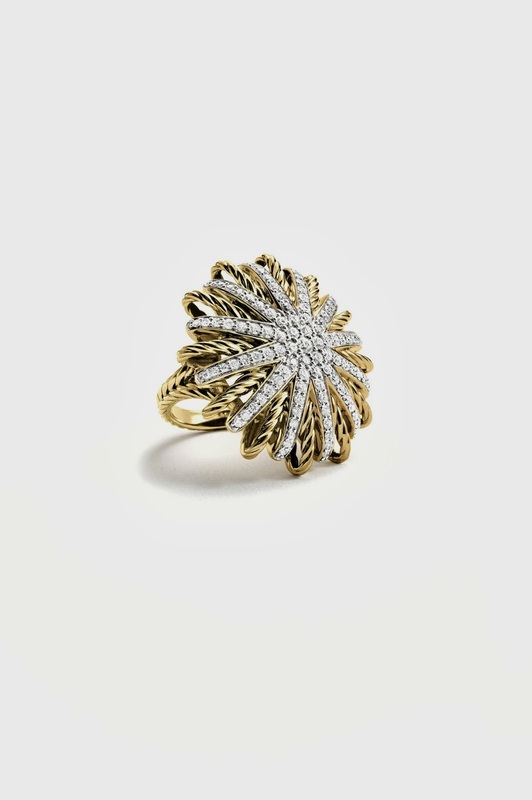 This 18K gold Starburst ring with diamonds is the perfect thing to wear when someone you know is saying "I do." It is statement without being over the top. Everybody knows that I love a good signet ring. 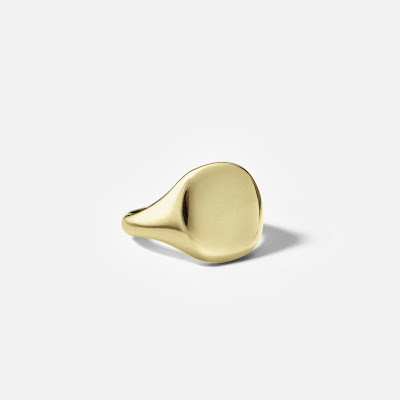 I also love new ways to wear pieces and this 18K gold signet pinky ring is the perfect example. Going back to fall weddings, this piece would be perfect to wear with other gold rings for the farewell brunch the next day. The signet ring is also an amazing piece for everyday. Last but never least we have a statement necklace. 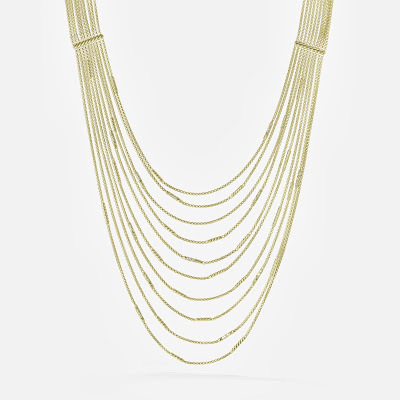 I love this 18K gold Willow bib necklace with pave diamonds. I love bib necklaces, statement necklaces and multi-chain necklaces and this one is all of those! This piece can be worn as casual or formal and as someone who has worn a piece very similar to this, it is a ton of fun to wear! 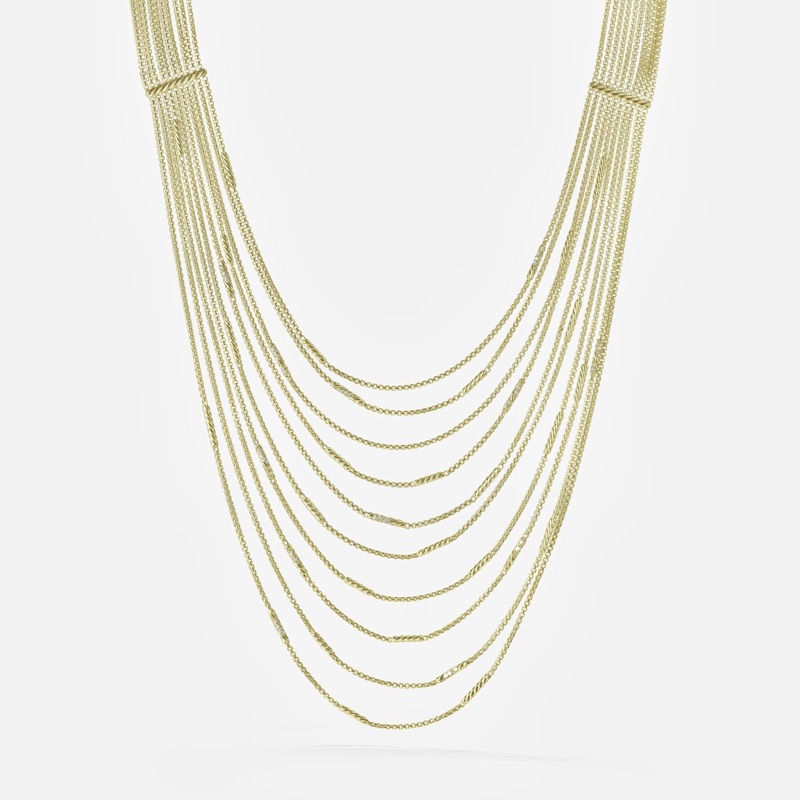 Do you have a favorite David Yurman gold piece that you love to wear? Tell me about it in the comments below!